We fondly remember the wild nights of sneaking into the secret Monkey Lounge’s back entrance. Later, when they transformed into Monkey Champagne, the drinks got pricier but weren’t necessarily memorable. Sticking to the speakeasy theme, you will find Monkey 3.0 behind a restaurant serving chili burgers, cheeseburgers and fries. This Monkey has also held on to the infectious mix of hip hop that made both of its predecessors so much fun. The interiors are sophisticated without being overdone, and there are plenty of booths for a low-key evening. While this is a much more grown-up bar, there is still more than enough space should you feel the need to drop that booty – the music is so good that you may find it hard not to. Our only complaint is that it’s a bit too loud for conversation. Back to the good things, they have enlisted Jackie Lo to head the mixology program. 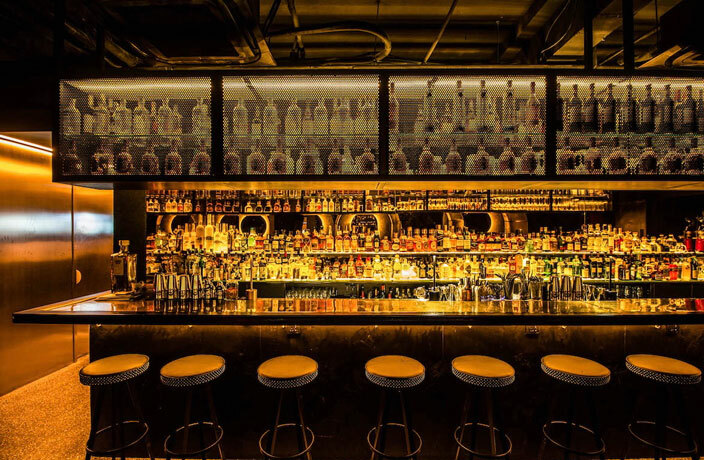 Recently named the 2018 DMBA Bartender of the Year for China by DRiNK Magazine, Lo has put together a short list of well-considered cocktails (all RMB98), although standard mixed drinks and shots are also available. Welcome to the Jungle is a massive and beautiful goblet of gin and tonic with big berry flavors, basil and a mix of Sichuan and black peppercorns. Adding to the fun is a dramatic spritz that smells of rum and tropical fruit. We liked the scent so much that we asked Lo to spray more of the fruit essence on. Even more unique is the Monkey 3.0 made from a clever mix of Thai tea-infused Havana rum with a spiced coke syrup reduction and fresh lime. While not normally cola fans, we approve of the way Lo repurposes leftover flat soda to create a surprisingly balanced drink. A pretty shard of almond brittle is a functionally delicious garnish. If you like herbal notes in your drinks as much as we do, you will enjoy the botanic flavors of Life After Monkey based on oak aged Chivas Mizunara with homemade perilla leaf and cucumber honey soda, lemon, dill and dried shredded coconut. We weren’t sure what to expect with a jackfruit-based drink as the sweetness can be quite overbearing. The addition of dark, aromatic Havana Club 7 and dehydrated banana makes the boozy Monkey is Dead, Long Live Monkey quite smooth. By keeping everything that made previous versions great, the transformation of Monkey represents a venue where stellar cocktails and a party vibe coexist in perfect harmony. We’ll be back for more, and often. Have you been to Monkey? Post your review here for a chance to win a Saucepan voucher. Here are all the new restaurant and bar openings we featured in our April 2019 magazine issue. Here are all the new restaurant and bar openings we featured in our March 2019 magazine issue. 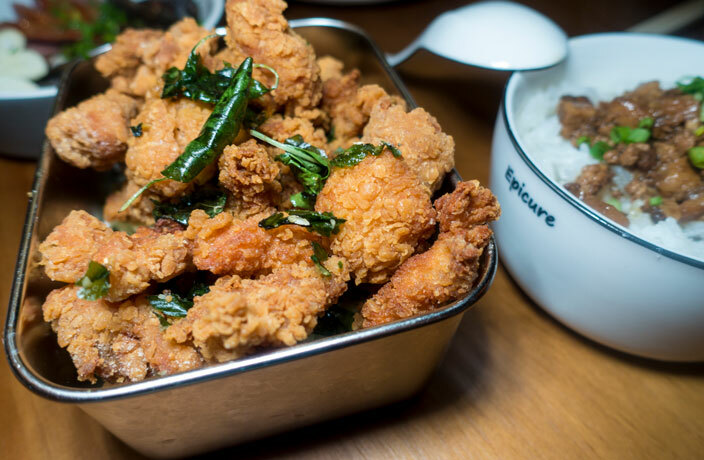 Here are all the new restaurant and bar openings we featured in our February 2019 magazine issue. Here are all the new restaurant and bar openings we featured in our January 2019 magazine issue. Some of our new favorite watering holes from 2018. Here are all the new restaurant and bar openings we featured in our January 2018 issue. Hosting your own cocktail party at home? Here are some delicious sprits to try at your next shindig!